Recent years have sparked an even more reverently held estimation of This Heat. Bands like Disappears and Viet Cong clearly rekindle a similarly intelligent yet free moving collision course of pranging guitars and shifting structures, whilst labels like Blackest Ever Black have rooted around the rarefied corners of the projects that the band’s members and associates concentrated on in the aftermath of the band’s cessation (Mick Hobbs' Officer work as well as Gareth Williams work in Flaming Tunes). It’s an appreciation that hasn’t been maintained without due cause. The experiments brought forth by Charles Hayward, Gareth Williams and Charles Bullen during the apogee of post-punk remain as revelatory as ever. For those hopelessly devoted to the dividing lines set out when punk came around, their roots may have seemed incriminating. Hayward had been in the ranks of jazz-psych group Quiet Sun and prog collective Gong while Bullen had made an early appearance with the similarly far-out, though more kraut-charged, psych-implosive work of Ning. Involvements in which you imagine something excursionary and occasionally meandering was indulged too keenly for first wave punks hell bent on year zero demolition. Only when Williams completed the trio - incorporating instinctual non-musical ideas such as toy instruments - did their outfit become more coherent with the dysfunctional, anti-formalist impulses of their associated contemporaries, though in the loosest possible way. The implications of re-appropriating such a setting for such challenging work no doubt has political relevance, considering the contextual background, with Callaghan’s Labour government floundering at the time, culminating in the Winter of Discontent in 1978. This led to the burgeoning stranglehold of Thatcherism and its stifling of collective ideals – both in terms of unionised industry and creative venture - into idealistic impossibilities (little in that respect has changed). Fortunately, as demonstrated by Cold Storage, this ideology didn’t eradicate the ferment of such ideals entirely. Although the band used the space for rehearsal from 1977 onwards – two years before Thatcher came to power – their first LP coincided with her eventual ascendance in 1979. Yet throughout this time, whether in the grips of a Labour or Tory administration, there was a sense of oppression, something neatly articulated in Drew Daniel’s 33⅓ book on Throbbing Gristle’s 20 Jazz Funk Greats. Describing the political context in relation to one of the album’s straighter highlights, ‘Convincing People’, Daniel describes a ‘particular political moment in which the participatory logic of democracy stopped allowing for a real debate…The feeling could be summed up in the title of an old Nina Simone song: “Either Way I Lose”’. It seems apt to contend then, that when the access routes to political and societal participation are largely obstructed, many are led to create their own self-sustaining worlds built on their own ideas and their own definitions of logic. Cold Storage represents one of the post-punk era’s finest examples. The space was ran by Acme Housing Association who as a charity provided low rent housing in the area. Another wing of the same company, set up to provide studio space for visual artists, Acme Studios (still active today) began in 1972, subletting industrial spaces from local authorities to artists who otherwise could not afford to fully consider and explore their ideas in a space of their own. After a fortuitous crossing of paths at a performance at the Acme Gallery in Shaftesbury Avenue, the band were recommended the space by The Flying Lizards producer David Cunningham. In the same aforementioned Wire article, Hayward reveals that they then inherited the space by ‘default’. The band proceeded to realise its potential not only as a rehearsal space but one that could foster an idiosyncratic approach to production. With 24 hour access to a windowless, airless place and buoyed by obsessive bouts of ‘incredible energy’, the band were able to effectively develop their interests in tape experimentation and alchemize equally avant mixing desk strategies. Their most intrepid method, the Sennheiser Artificial Head embedded ‘a microphone in each ear of a model head, emulating sonic resonation in the skull and producing a spatial, three-dimensional effect’. From a personal perspective the most startling recording they’ve put their name to is ’24 Track Loop’, something wonderfully expanded upon on in the later 1993 reissue ‘Repeat’. A play of mechanical gamelan in which passages of organ are elastically contorted and G-Force rushes of proto-breakbeat stab and scurry across a completely alien plain, it’s possessive of a mutated future-shock that anticipated Drum and Bass and its many cousins by a few decades. Although the track was not produced at Cold Storage – it was actually brought together at the Workhouse studio on the Old Kent Road – it’s clear that the ambitious and unusual tactics used in this instance had been actively pursued at Cold Storage and had fed into the eventual outcome, one that was achieved through the aid and capable nous of the Henry Cow affiliated producer and soloist Anthony Moore. A year after their debut self-titled LP came a song ‘about the sunshine/dedicated to the sunshine’. As much of an arresting and pioneering instance of split structure and clipped acceleration as ’24 Track Loop’, the 'Health & Efficiency' 12’’ was produced in Cold Storage, this time by Cunningham. It starts out reasonably bright with spry and lithe guitar work introducing it all before things become a little too irradiated. Those guitars become a repetitious maelstrom and sound as if a chicane is being endlessly skid into. Field recordings of bottles jarring in a backstreet-like echo and playground clamour leak into the truncated, coarse spikes of guitar noise. Half the time you feel it’s going to combust yet it carries on attaining something vivid and full of life in spite of its abrupt, midway turn into an overwhelming tumult. Again you can’t help feeling the sustained boiling-point they reach has been accommodated by the space; the rapidity of their locked strains the result of being locked themselves in a fruitful but hermetic and defunct industrial hideaway. The space would eventually attract other early DIY bands and underground luminaries. 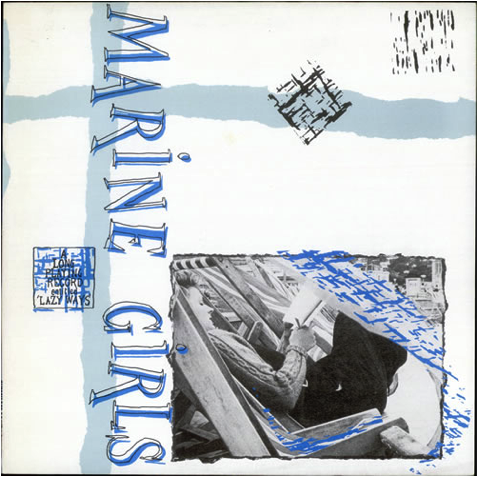 Tracey Thorn’s Marine Girls, Stuart Moxham’s The Gist (formerly of Young Marble Giants), The Raincoats, and even Robert Wyatt would venture there for their own projects. The personality of the space seems to have breached their own work in interesting ways. More on some of these instances later. Despite the slight alteration to personnel, this was a partnership which kept intact the ideals and aspects of This Heat’s work with a string of records which all hold their own fascinating elements and sounds. However it wasn’t long before things turned sour. A couple of years down the line and innocent ambitions turned to a messy and somewhat disappointing demise. Professional concerns meant that the metal walls – no doubt a source of strange acoustical resonance before – had to be stripped. A more rigorous upkeep was also required as more outside jobs came in and soon financial troubles emerged. This followed the end of This Heat a few years prior, who without an absent Gareth Williams - travelling and studying dance in India for a year - came to a final halt after a tour, and a newly expanded group, failed to regain the first spirited actions of the trio. But as a final ember of activity, Steven Rickard - the new engineer and manager of Cold Storage in its later period - formed The Camberwell now with Hayward in tow. Bullen played on their first EP, but concentrated on his own project, Lifetones. Both of them share This Heat’s expansive characteristics, the former more in line with their discerning scrawls of corrosive guitar and tetchily toned vocals whilst the latter showed the same worldliness - in its fruitful evocation of Reggae rhythm - that had made the original trio such an exciting, rhythmic proposition. 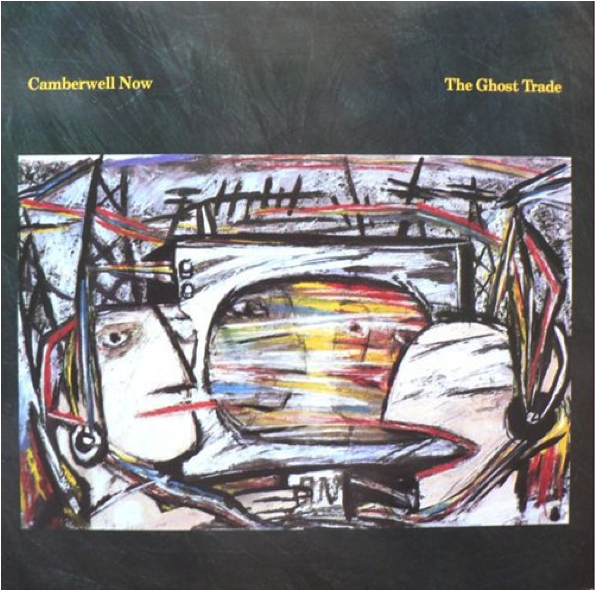 Tensions arose though during the recording of The Camberwell Now’s The Ghost Trade, as told by Hayward to Barnes: ‘After a while it was “How much longer are you going to take to record this album?” And after that we don’t want your instruments in this space” and they had already thrown away some of my instruments…I had no energy to fight my corner and I was effectively bought out of the space by recording The Ghost Trade’. Hayward left and the space subsequently passed hands, became a ‘bog standard’ studio and was eventually bankrupt by the end of the 80s. Whether or not political concerns came significantly into play, looking back now it’s difficult not to perceive the material This Heat concocted at the space as an implicit protest, an artful answer to an intransigent political climate which denied collective agency and anything remotely radical. Yet despite the encouraging, initial sentiments of a bravely DIY venture, it’s lifespan was eventually compromised and eroded by the demands and fixations of private, commercial concerns, ones which sadly infiltrated the space, starved its defining activities and comprehensively ended them. Although this course of events coupled with the work of This Heat – a work which consistently displayed a confrontational streak which rarely shied away from the darker causes for alarm and uncertainty pervading the time - there were joyous and mercurial moments of departure. The fact that those moments could be extracted out of such a forbidding environment and such a restrictive political climate lends itself to an altogether brighter outlook when retrospectively considering their output and the space that birthed many of its excellences. In the following series of selections, the legacy of the Cold Storage facility is considered through the music recorded there. A few tracks from the prime of Cold Storage, the strange spell of its deep freeze. Heralded as pop sublimity by Rough Trade’s Geoff Travis, Stuart Moxham’s solo project after Young Marble Giants exhibited the same sensibilities as the minimalistic restraint and hush that made ‘Colossal Youth’ so treasured. Although much of the The Gist’s own LP, ‘Embrace The Herd’, and the mood it attained was assured by Moxham’s decision to record at home on a 4 track recorder, this first single was recorded at Cold Storage. Immediately there’s a striking level of atmosphere, with the blanket whoosh and stream of cars and trains filling the background. A few birds squawk until the manipulated, anti-clockwise cycle of percussion rears up. That then reverts to a basic backing as a shyly and melancholically yearning English (or Welsh? *) lovers rock sidles into view. By this time Phil Legg – who gets the production credit here - was involved. As with Charles Bullen’s Lifetones, it’s perhaps pertinent to speculate that Cold Storage seemed to facilitate dub exploration; a kind of British Black Ark, in this instance altered for the lovesick, self-effacing, early 80s Indie mindset which would inform Cherry Red and 4AD as much as Rough Trade. As one of Moxham’s finest achievements, it's proof that the variants – production, space, conditions – in this instance all accorded somehow. The partnership of Legg (Engineer) and Moxham (this time producer) would reconvene for this early project of Tracey Thorn (Hayward would later collaborate with on her Everything But The Girl material) Stripped back and unadorned, its sparseness accents a simple play. Strumming like Velvet Underground at their sweetest swims around concise, bass-led confessionals which occasionally ripple with woodblock percussion. It feels like stepping into a very special, private place. There’s an unaffected ease present, as if Thorn is completely unaware of being recorded. The entirety of the LP was recorded at Cold Storage and although its sound is miles away from the jagged incisions and crunching signals of This Heat, there’s a similar sense of a group lost in a very particular, kindred headspace. Like This Heat and The Gist there’s a mastery of detail, something which sets it apart from the excessively self-regarding tweeness of those who would later adopt this kind of template. Another enchanting missive from the facility. 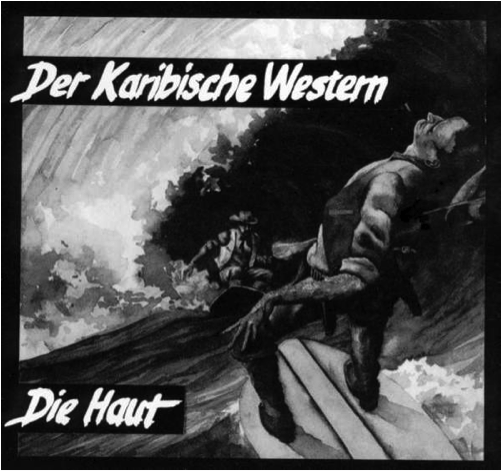 Perhaps more in keeping with Haywards ascriptions of Cold Storage as a degenerated, haunted outpost, Die Haut (‘The Skin’) came to the facility in July ’82 to record the ‘Der Karibische Western’ (‘Caribbean Western’) 12”. Die Haut were a revolving cast, their only constant Christoph Dreher and their own sense of self was perhaps eclipsed by the stature of the collaborators who littered their studio recordings and live shows. Lydia Lunch sings vocals on this title track (under the pseudonym Stella Rico) whilst Alan Vega, Mick Harvey, Blixa Bargeld and Kid Congo Powers often joined their ranks in a variety of other performances; half goth-ensemble, half punk-circus. The title track is fairly straight; traces of Link Wray, The Ventures and Ennio Morricone adapted into a lurching drive, a relentlessly tattered apex of sparring twangs. There’s some amazing footage of the band performing it on Gleinnicker Bridge on The Tube which perfectly sums up the sense of a 50s Garage instrumental transported to the forbidding, post-industrial streets of early 80s Berlin. But it’s the final track, ‘Die Faulen Hunde Von Tijuana’ (‘The Lazy Dog From Tijuana’) which better reflects the character of Cold Storage. It was engineered and mixed by Bullen along with the band and it’s not hard to imagine the surround; a deserted Brixton night and an eerie meat locker feeding the creeping atmosphere. Consistent with the adventurousness of This Heat’s recording techniques, background interference's labelled ‘Tropical Heat Wave Wind Noises’ infuse the mix with Nick Cave offering some backseat contribution to their ominously soft gale. 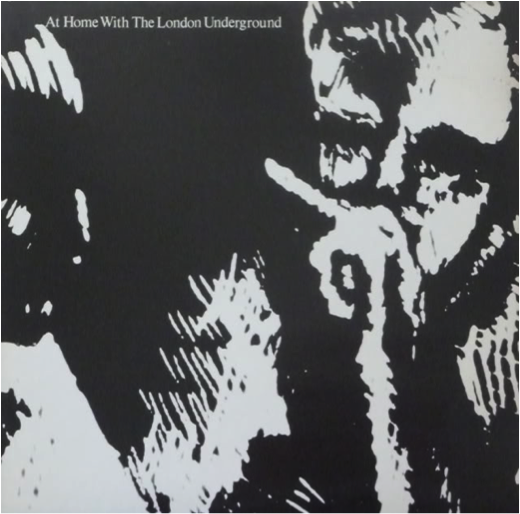 An early venture of Adrian Sherwood’s On-U Sound label, London Underground comprised Kendall Ernest (bass), Pete Holdsworth (vocals, melodica – who would later head the always reliable Pressure Sounds label), Danny Sheals (drums) and Martin Frederix aka Harrison (guitar, bass, vocals) Harrison is perhaps the source of the link between Cold Storage and the On-U Sound family, having played with Family Fodder, who also counted amongst themselves Mick Hobbs of The Work and Officer! ; two acts which often congregated around the facility. Although it’s difficult to ascertain the tracks which were actually mixed and produced at Cold Storage, with the recordings split between a variety of studios, it’s another instance in which the facility was revealed to be a linchpin of an exploratory form of dub music which mixed the provocative social commentary and variegated abstractions of post-punk with an authentic translation of dub’s weightier excavations. Even though Sherwood would prefer to utilise his own studio and others in the future, it’s perhaps telling that an LP which was partly formulated within the facility’s distinctive environment remains an early, cult favourite of many On-U Sound advocates. This track was chosen partly because it’s the only remnant of Het’s ‘Let’s Het’ record so far uploaded to the internet. 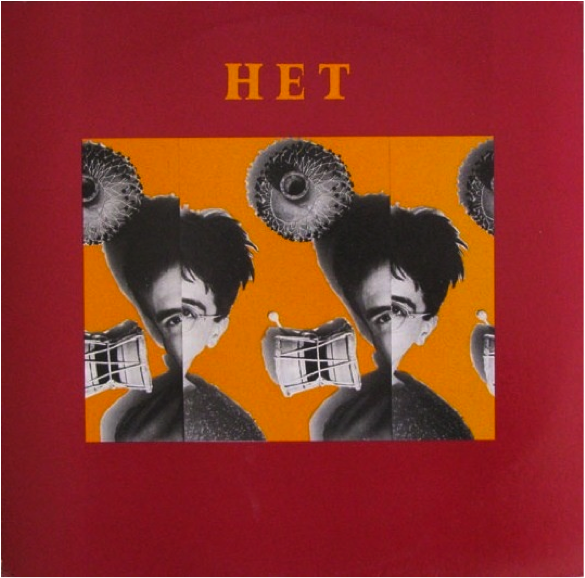 Even so it’s a tantalisingly oblique and bizarre glimpse of a record which features familiar faces including Mick Hobbs, as well as Tim Hodgkinson (also of Henry Cow), Dom Weeks and Cass Davies who in the same year featured on the playful, eccentric vaudeville-jazz work of Hermine’s ‘Lonely At The Top’ LP. It’s very much in the spirit of early Soft Machine and the bands which Hayward involved himself in before getting in league with Bullen and Williams. Anarchic but whimsical, its droning chimes, nonsensically feverish choir and infernal piano chords all combine to form something which feels ridiculous but eldritch. The manipulation of voices and the way they lap over one another, climaxing in a mad crescendo like the sound of a tormented walk through a hall of mirrors, bears all the sonically mischievous hallmarks of Cold Storage and the examples of creative multi-tracking which define much of the material that emanated from it. A frantic, unwieldy, fractured collage of samples, and one of the highlights of the ‘Ghost Trade’ LP, ‘Speculative Fiction’ is like musique concrete disco. Again it has the tendency displayed throughout This Heat and the productions of Cold Storage to mess and reassemble sampled material and field recordings so that a sense of being fixed in some kind of stable place whilst listening is forfeited for an alternatively unbalanced mooring. As with many of the tracks so far featured, voices beam in from different directions, in different registers and it’s similarly thrilling. The unnerved tones of Hayward and Trefor Goronwy’s vocals are remindful of This Heat’s ‘A New Kind of Water’ but the message is less discernibly critical of the political and social climate, instead it’s a scrambled exercise in re-cut headlines. As aforementioned, ‘Ghost Trade’ represented an unfortunately acrimonious end to the members of This Heat’s activities within the space but it’s a curtain call which concludes their involvements there on an unequivocal high note. Of course there are the two This Heat albums to explore too but these other examples give some idea of the diverse sounds and productions which came together at the facility, outside of the main, driving force of the trio. Less positively they also hint at what could have been had the original set up, with the added support of Legg, been maintained. Today, in terms of artistic activity, the space lies dormant, nearby a Tesco, according to online listings a mixture of residential flats and offices. The memory of what This Heat and their many contemporaries achieved in a neglected, glorified fridge seems distant and far-gone when casting an eye over these kinds of virtual address entries and the obstructed, limited views of online mapping. Yet a brief listen to any of the material produced during the tenure of This Heat does in some small way represent a compensatory pride. There is more cause for hope too, as there is evidence of the torch being carried by contemporary acts who base themselves in similar environments. Gnod and their HQ at Islington Mill seems to breed something just as audacious, as demonstrated by their latest triumph ‘Infinity Machines’, a record focalizing themes of private headspace and dreamstates as a gesture of artistic, imaginative ownership in a troubling social and political climate. A situation not dissimilar from the conditions which surrounded This Heat and the way they and their associated contemporaries creatively reacted. In a very uncertain 2015 the Cold Storage facility is something to take encouraging cues from despite the later difficulties that it encountered. Its legacy shows just how significant DIY enclaves can be.